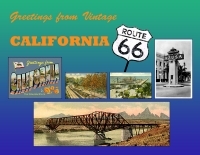 See thousands of postcards -- new, vintage, and custom, of states, Route 66, the Old West, Native Americans, and much more. And, we're still adding thousands more so, check back often. 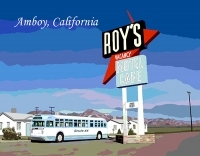 Want to know more about Postcards, including their history and different types of postcards? Visit All About Postcards. 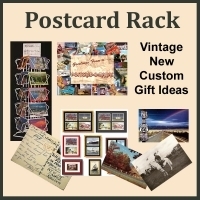 Have you ever thought about using postcards as gifts or crafts? Click HERE for ideas! Below you will see a sampling of our postcards. Click on specific categories to see them all. 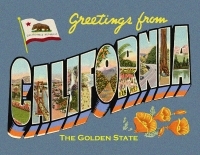 Most postcards are made in the USA. 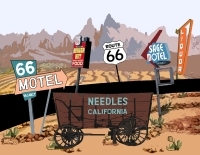 *Free shipping offer on postcards is not available to international customers, excludes our Route 66 Postcard Coloring Book, and is standard first class mail through USPS. Orders weighing 3oz and below do not qualify for tracking information. If you would like to upgrade your postcard order to Priority Mail, or if you are an international customer, add our Shipping Upgrade to your cart.